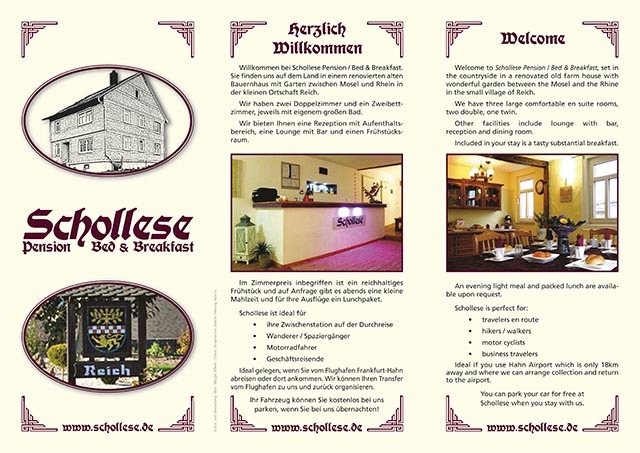 Schollese Bed & Breakfast is a small family friendly B&B set in an extensively renovated old farm house in the village of Reich. 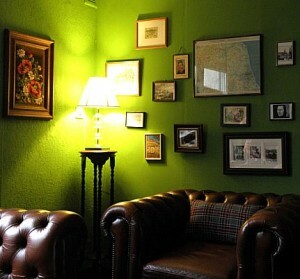 Our B&B is a perfect place to stay for whatever reason you may find yourself in this wonderful area. 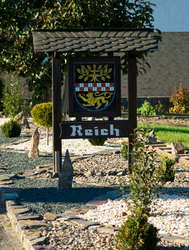 Whether visiting family or friends, a stop over en route, business in the local area or just to enjoy the countryside or visit the villages on the rivers Rhine and Mosel. We have three rooms, two doubles and one family room, all ensuite. Breakfast is included in the cost of your stay. There is a guest lounge with small bar for you to enjoy or relax in the garden. 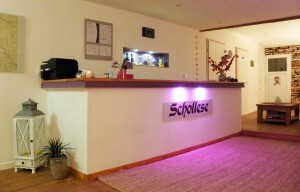 Schollese has ample parking and free WiFi. Check in from 2:00 pm, checkout at 10:00 am latest. Smoking is not permitted in any inside area. Animals / pets are not allowed.